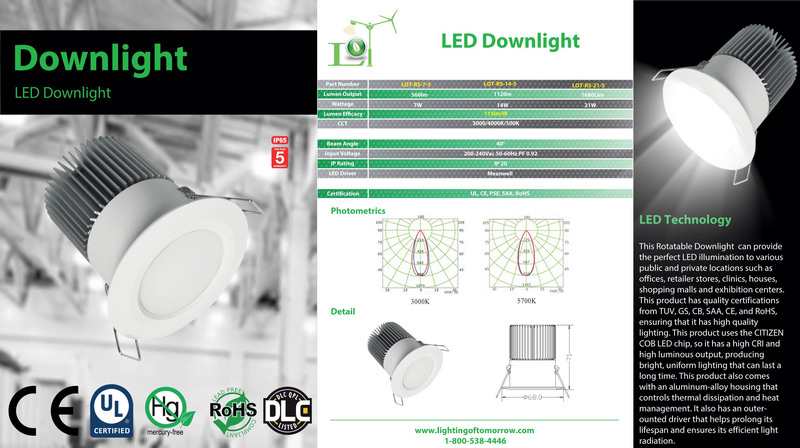 The LED Mini Downlight RD-B can provide the perfect LED illumination to various commercialized and private locations such as homes, schools, offices, supermarkets, galleries and exhibits. This product has a built-in aluminum heat sink that allows maximum heat management so that it guarantees its long general lifespan of more than 50,000 hours. This downlight is also energy-saving, so it is cost-efficient. This product uses the EPISTAR COB LED chip, so it produces bright, intense lighting that is uniform and consistent. It also comes with a design that has easy installation and management features.